Please be advised Building Profiles Xmas Shutdown commences on Monday 17th December 2018. The last day for dispatches is Thursday 13th December 2018. We will return to work on Monday 7th January 2019. Building Profiles is changing key internal systems. Whilst there will be some disruption, we will keep this to a minimum. On Friday 6th July we will be changing our full IT infrastructure and as such we will be closed for business. On week commencing 8th July we will be changing over our telephone system. In the event of disruption to telephone communication during this period, please email any enquiries through to Sales@buildingprofiles.co.uk and we will do our very best to respond. We apologise in advance for any inconvenience these changes may cause. Building profiles are committed to protecting your privacy. We only use and store your data to facilitate provision of our products and services. We do not sell your data. We will only use the information that we collect about you lawfully. By ordering from us you are accepting the practices described in this GDPR Policy. We receive and store certain types of information whenever you interact with us. Information about our customers is an important part of our business, the information is limited to that needed to provide our products and services. We use the information to provide the products and services that you contact us for. We will never collect sensitive information about you without your explicit consent. We are not in the business of selling your data to others. We only share customer information with companies and individuals to perform functions on our behalf. Examples include fulfilling orders, delivering packages and providing customer service. We release account and other personal information when we believe release is appropriate to comply with law; enforce or apply our Conditions of Use and other agreements; or protect the rights, property, or safety of Building Profiles, our users, or others. This includes exchanging information with other companies and organisations for fraud protection and credit risk reduction. The company has a privacy statement this is available on request. This offer is not used in conjunction with any other discounts that you may have. Fold A Side folding openers are obsolete and are no longer available, we have removed them from our range. After working in our accounts team for nearly ten years, Sue Lawley has decided to retire. Sue has been an important member of the accounts department and has built very good relationships with both customers and suppliers. 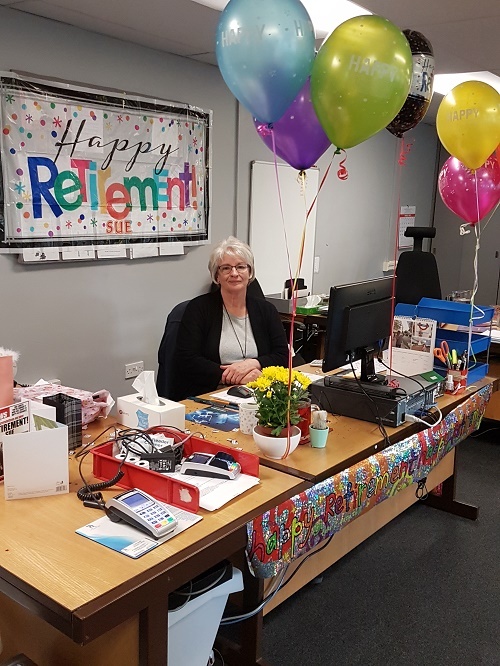 She will be missed by all but, we sincerely wish her a very happy retirement and hope she enjoys all the travelling that she has planned. While Sues presence will be missed in the office, she will not be forgotten anytime soon. Sue made quite an impact, and that’s not so easy to do these days. Thank you for being a tireless professional Sue and a good friend. Now go and relax! The Building Profiles Ltd Christmas shutdown will be from 1pm on 22nd December 2016 and return to work at 9am on 3rd January 2017. Our last shipping date will be Tuesday 20th December 2016.
at our offices in Stratford upon Avon. If you are interested forward your CV to info@buildingprofiles.co.uk. 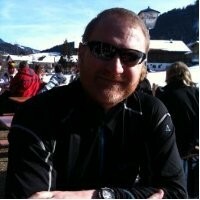 Richard was one of the most generous donors on JustGiving in May. Out of 951060 donors, Richard was in the top 1%! Building Profiles are proud to sponsor Richard Gyde, Managing Director of Mila UK who in June is taking part in the GM Fundraising Border2Border Charity Cycling Challenge. 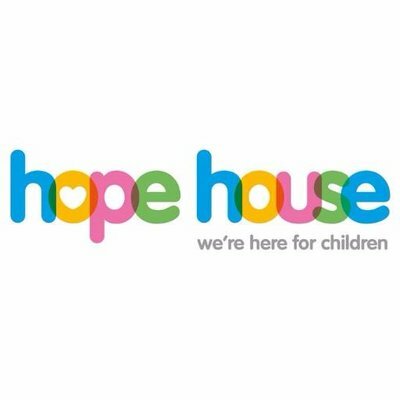 This challenge is being undertaken with the aim of raising much needed funds for Hope House Children's Hospices, this charity provides vital care service for children who are not expected to live longer than early adulthood. The ride, described as ‘The Toughest Yet’, will take place over 11 days and will span 2,016 miles between Vancouver, Canada and Tijuana, Mexico, and will offer up more than 92,000 feet of climbing with temperatures in excess of 40 degrees. It is a very worthy charity and it is our pleasure to sponsor Richard, we wish him and all the others taking part the very best from all of us at Building Profiles Ltd.
Our Warehouse Supervisor George Cottrill has successfully completed his 1st Aid at Work course. George was given a gold star by his Red Cross Trainer and he described the training as really enjoyable. He is now one of two fully trained 1st Aiders the other one being our Director Richard Fraser. Due to many customer requests, BPL have added the Teleflex chain to our existing range of manual cable operated controls. This inconspicuous opener features a fully retracting stainless steel chain with quick release window attachments to facilitate window cleaning. With an internal projection of 64mm (2 1⁄2”) the enclosed chain case permits ease of operation whilst allowing close fitting of curtains or blinds. 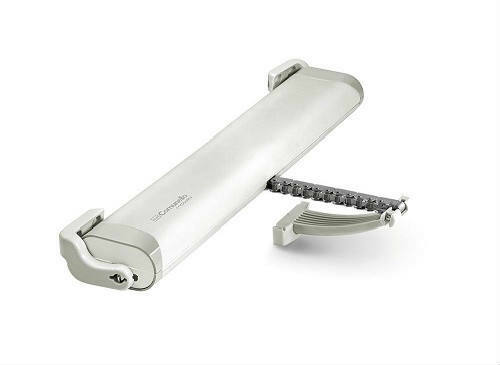 Available in 250mm (10”) the chain opener will remain as rigid as a peg stay when extended throughout its working lifetime. The all metal chain opener has a high resistant polyester powder white finish with stainless steel chain for greater strength, durability and corrosion resistance. The stainless steel chain together with quick release brackets are improvements on the F300A chain which, is now being phased in favour of the Teleflex version. Building Profiles Ltd Christmas shutdown will be from 1pm on 23rd December 2015 and return to work at 9am on 4th January 2016. Our last shipping date will be Monday 21st December 2015. 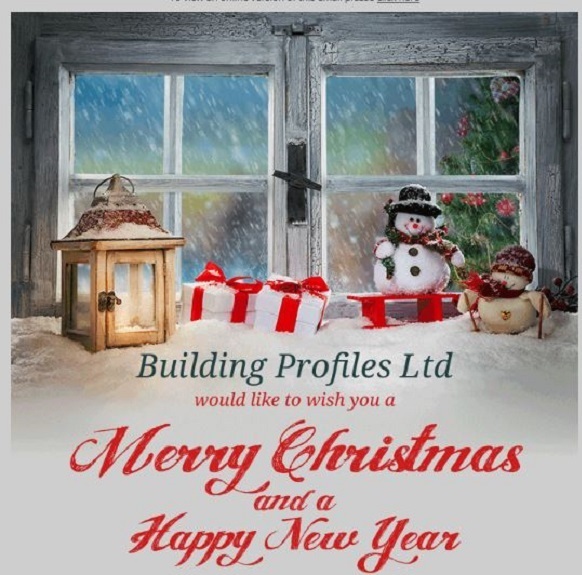 The Directors and Staff at Building Profiles would like to thank all our Customers for their ongoing support during this year and would like to take this opportunity to wish you all a very Merry Christmas and a Happy New Year. All the Building Profiles warehouse staff have just completed their forklift refresher training. This training took place over one working day and comprised of both written and practical exams. 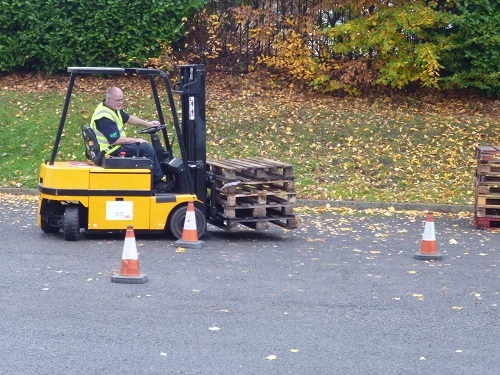 It is very important that not only are our staff qualified to use the forklift, but their knowledge is refreshed every 3 years by the excellent training carried out by Forward Forklift Training Ltd. This Training is recognised by The Health and Safety Executive and the course reminded them how to safely and effectively operate a Reach forklift truck with the basic skill requirements and job safety knowledge required for safe and effective operation of Reach trucks. The course included machine familiarisation, controls, daily checks and battery procedures, steering, load weight assessment and handling, stacking racking, awkward loads and vehicle loading, and unloading and much more. Well done to all the BPL staff that took part for completing the course! Congratulations to the staff at BPL for all their efforts into making Pink Day very pink. 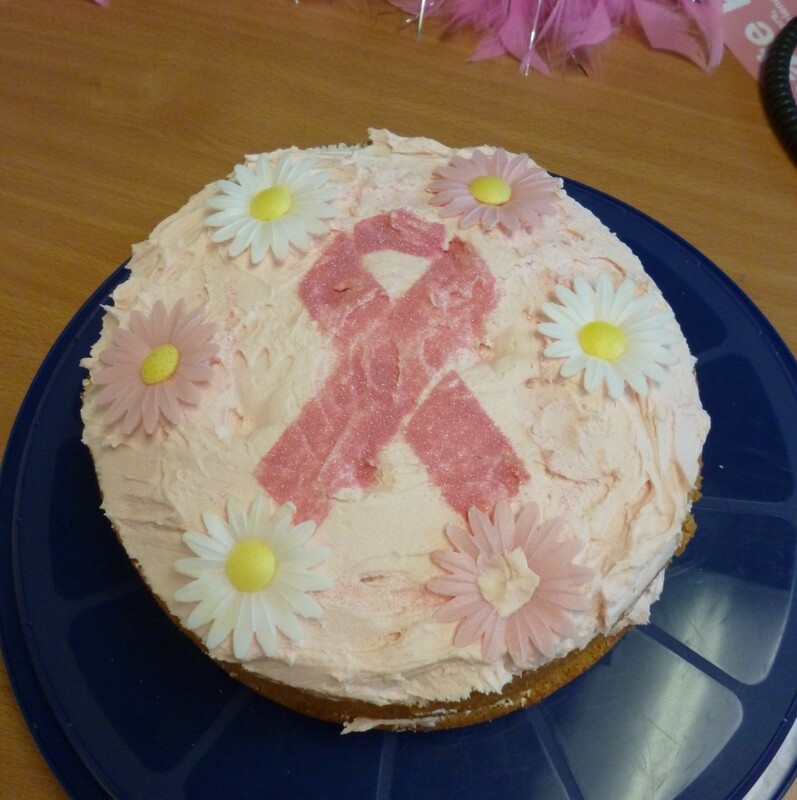 They all donated prizes and supplied cakes, which were yummy, yummy, yummy! Last but definitely not least, congratulations on the fundraising! Through the generosity of the staff BPL we raised just over £70. Thanks to Jo Cheriton the MD, who not only offered to match what we raised but has also donated her £50 from an outside sponsorship. This is our most successful year yet raising over £190. A big well done all!!! Thank you again to the staff at BPL this couldn’t have been achieved without your support. We have all BEEN PART OF THE CURE! 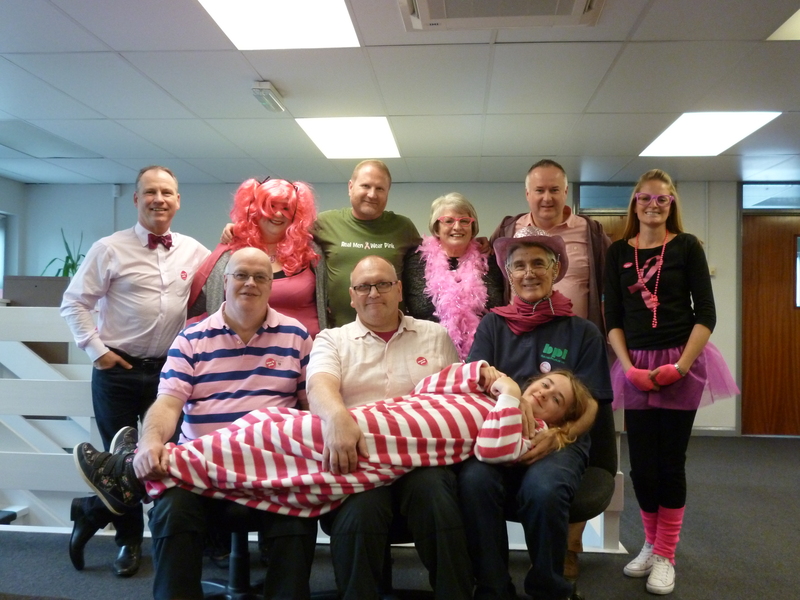 Building Profiles staff dressed up for Pink Day Friday 23/10/15. They played the number game, made cakes, and did a raffle. They have been PART OF THE CURE! 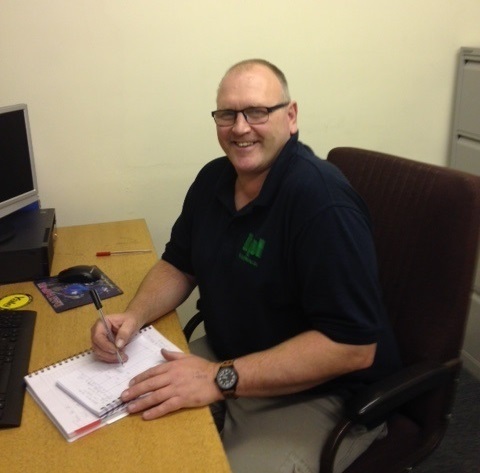 Building Profiles would like to welcome George Cottrill to the team as Warehouse Supervisor. George Cottrill is a local lad who as a boy used to play on the waste ground where Building profiles now stands. After leaving the Armed Forces he has worked predominantly in Warehousing/Manufacturing. He is married with two children and has a pet Rottweiler dog. George said, "I am excited to be joining Building Profiles and I am looking forward to being part of their continued growth". We extend our congratulations to Richard Fraser on his thirtieth anniversary of working at Building Profiles Ltd.
During this time he has significantly contributed to our company’s success and has been a dedicated and enthusiastic member of our team. Richard excels particularly in his ability to sing Christmas Carols all year round and this is much appreciated by his fellow collegues. We thank you for your enduring loyalty and diligence and wish you continued success for many years to come. 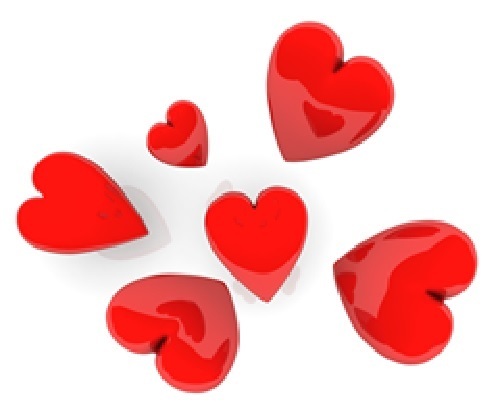 We love our latest range of actuators so much so we would like to spread the love to all of our customers with a special offer of 20% off all Smart and Liwin motors for the month of February 2015 only. Special offer for February 2015 only, reference Feb20 must be quoted. or contact us on 01789 414044 for a copy. Extended folding openers are popular because they open to 315mm giving much better ventilation than the standard 112/111 series. However, there has always been one big problem and that is they were not suitable for high level operation. Well that was until recently when the High Level operator was devised! The new High Level Operator (HLO) solves the problem of achieving increased ventilation with folding openers at transom level. In the past extended folding openers could not be used at high level as it was extremely difficult to close and open the window with the pole operator. However, now with the all new HLO (Patent Applied For) closing extended folding openers fitted to windows above head height is now simple to achieve. Building profiles have introduced a New Screwjack to the range. Suitable for Pitch Roof Lights,Top Hung and Centre Hung windows and Roof Domes. Maximum vent weight per screwjack 45kg. Building profiles are delighted to announce that we are now supplying a range of window actuators from the Italian manufacturer Fratelli Comunello S.p.A. 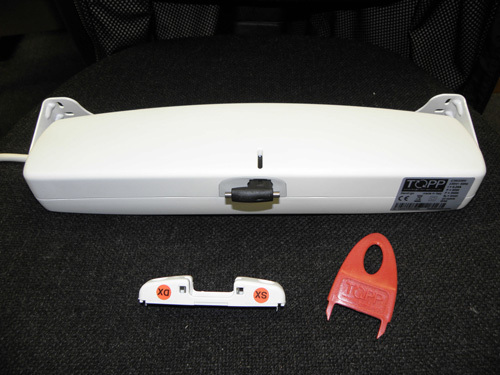 The Liwin Actuators are for natural ventilation and are also available with a key fob remote control option. We have tested these actuators and believe that our customers will be very pleased when they purchase and receive them. They also complement our current range of electrical actuators. 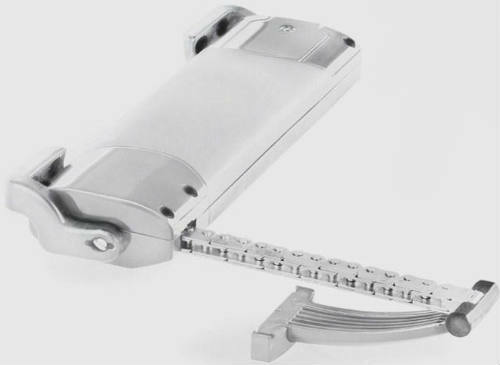 Building Profiles are delighted to announce that we are now supplying a new window actuator from the Italian manufacturer Fratelli Comunello S.p.A. The Smart Actuators are for natural ventilation. We have tested these new actuators and believe that our customers will be very pleased when they purchase and receive them. The 1st actuators have been delivered into our stock now! Building Profiles are in the process of updating this site with technical specifications to allow you to view our products in greater detail without the hassle of having to find our brochure. If there is a product you can’t see, or products you would like us to stock please give us a call and we can try to source it for you! Also check out our Special Offers Page regularly! Building Profiles have added a 3000mm undrilled tandem bar to our folding opener stock holding. This gives any fabricator the option of purchasing bar length material and cutting these to size as required. Richard Fraser, one of Building Profiles Directors said-Having this option available to our customers gives them a great deal of ordering flexibility and reduces any lead time that may occur when ordering the more unusual tandem bar size. It also means that they can purchase one tandem bar to suit any of their needs just by cutting them to their required size and adding the drill holes. The code for the 3000mm undrilled bar length is FO0816. Or email your enquiry to: info@buildingprofiles.co.uk. Building Profiles is pleased to announce that we have now added the Omec 1620 latch deadlock to our range. 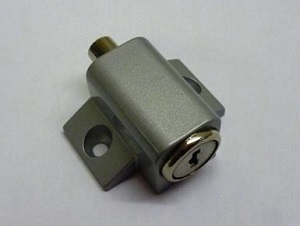 This lock replaces the old Wilka 1433 latch deadlock and is available in 25mm, 30mm 35mm 40mm backsets. The quality of this new lock in our opinion is as good, if not better than the lock it replaces. It should be of particular interest to any repairer/repairs company as it is very good value being cheaper than the old lock. Zinc and plastic plated steel closed case and cover. Selfcentering dead bolt with lock-picking system. 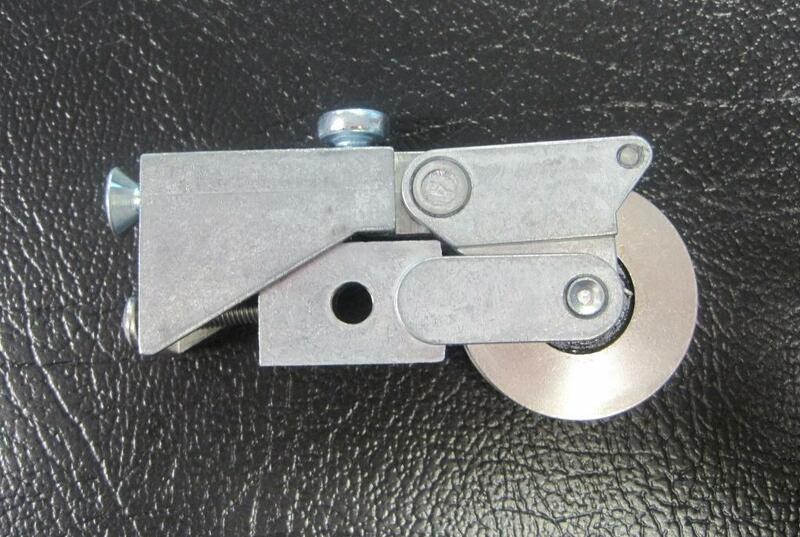 Special nickel-plated alloy latch bolt. Special zinc-plated alloy square spindle device mm.8. 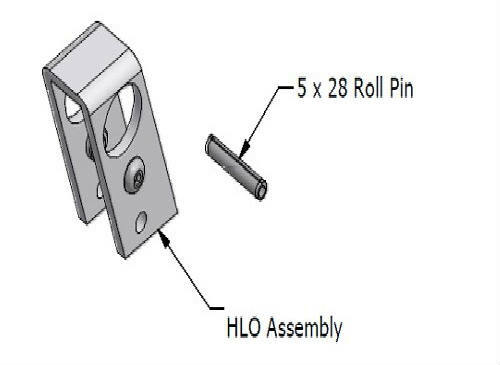 WORKING: Key driven dead bolt - Handle or key driven latch bolt. PROVIDED WITH: 2 roses cod. 0120 N, forend spacer cod. 0623 N (forend 25 mm.) or 2 cod. Cylinder screw, stainless steel fixing screws, assembling instructions. Call our sales team on 01789 414 044 or email: sales@buildingprofiles.co.uk. As an addition to our current product range Building Profiles have introduced a casement hinge to suit AluK formally Beauforts advanced plus casement window configurations. It has been design to be used in configurations where traditionally locks are not needed. e.g. Situations where smoke or purge ventilation is required or where additional methods of securing the window are being used e.g. Prison windows / cockspur locking handles etc. 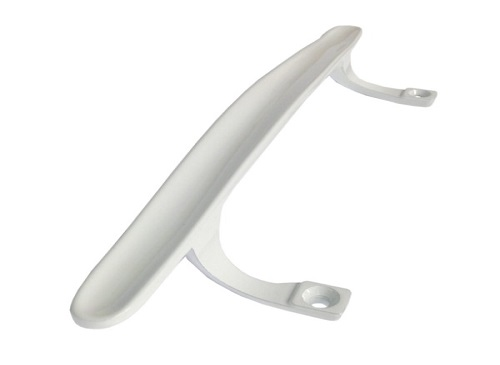 These casement hinges are available from stock in Hipca white with other colours to special order. 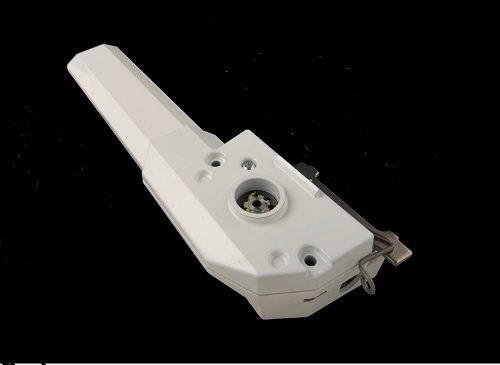 The C30 is a robust economical 230V AC chain actuator for windows and roof vents. 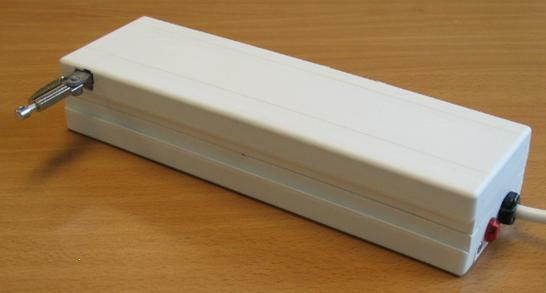 This actuator will appeal to those looking for a low priced natural ventilation option. Powerful 300N Thrust/tractive load force. 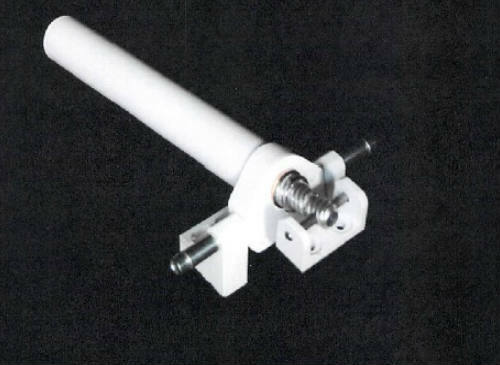 User (switch) selectable chain length of 200 or 380mm. 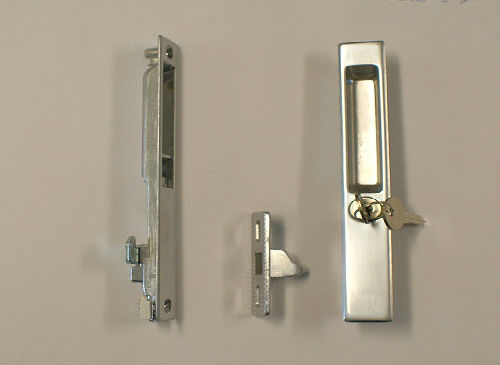 Comprehensive bracket set supplied for both inward and outward opening applications. Quick release chain attachment (using special tool) for ease of fitting/service. Adjustable fixings on both chain and bracket to help negate use of packing shims. Compatible with our SW15 Rocker switch or Contron Conservatory Controller. Remember to visit this page on a regular basis so you don't miss our latest news. It has been designed as a great solution for health and safety in buildings and is suitable for all window and door sections and materials. 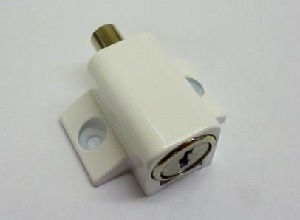 It has a face mounted cable restrictor device suitable for doors and windows. The Flex Restrictor can be fitted to all window sections and materials that are both inward and outward opening. It is dead lock operated using a key. Building Profiles are pleased to announce that following many customer requests we have added spiral sash balances, brackets and accessories to our existing range of products. These spiral balances are designed for use in both conventional vertical sliding windows with a tilt-in-facility, together with serving hatches and counter screens. Spiral balances are in use throughout the world in PVC, aluminium and timber windows. They are designed to counter balance a sash, holding it in any position. Whilst balances are not designed as a mechanical opening device, they do give a degree of assistance when operating the window. Our range comes in pre-tensioned or non pre-tensioned. We have also added an extensive range of accessories to complement these balances. For further information contact our sales team on 01789 414044. All enquires are welcome no matter how big or small! The MultiEcho is a plastic cased 230v natural ventilation motor with an adjustable chain length of between 90mm to 400mm. 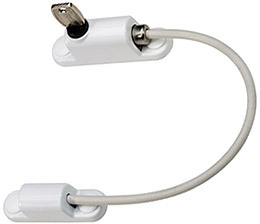 The chain is easily adjustable which allows the end user to select the required amount of travel. The MultiEcho comes complete with a fixed non pivoting bracket for top hung open out installations. The MultiEcho is available in three colours; white, black and grey. For a Limited time BPL are offering 25% off the list price of the following products, this special offer is subject to a minimum order quantity of 5. MORE than two thirds of the employees at Building Profiles have recently been awarded certificates for successfully completing their NVQ Level Two in Business Improvement Techniques. The training, developed with and delivered by Resource Development International covered a range of business areas including, continuous Improvement, team working, problem solving and workplace organisation. The training endorses the fundamental skills required to continue our business success and to excel in our support for our customers. The structure and the pace of the training encouraged interaction, collaboration and a positive learning environment. Building Profiles General Manager, Richard Fraser said: “At Building Profiles we are continually looking at new ways of enhancing the learning experience and professional development of our employees as part of our integrated business development programme”. 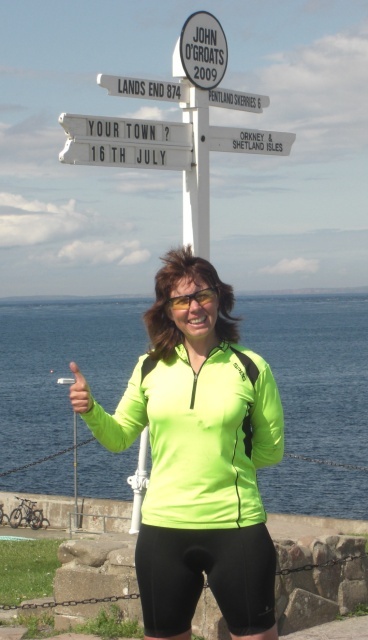 Our very own Angela Torres has just completed a marathon cycle ride from Lands End to John O’ Groats. With just two months training and a new touring bike she cycled for 13 days averaging 70 miles every day with the longest day clocking up an exhausting 92 miles. Angela started her epic journey at Lands End on 4th July and arrived at John O’ Groats on 16th July. On day two she suffered a damaged ligament to her left knee and had to take anti-inflammatories and pain killers for the duration of the trip. She also suffered a nasty fall on day three, her 47th birthday which left her with a massive bruise on her hip and thigh. Angela’s brother, Mike demonstrated true brotherly love by accompanying her. But both said that they had seen the most beautiful sights including the Cornish Coast, the Mendip Hills and Ironbridge, but they voted Waddington the prettiest village of the whole trip.